Emmett has always loved rainbows. He loves the shape, all the colors, and that you can see them int he sky. 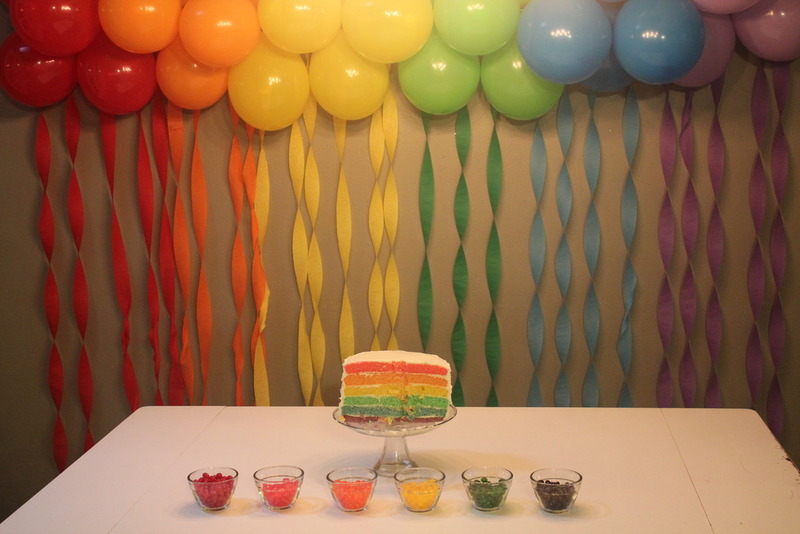 So when I asked him what kind of birthday party he wanted he quickly replied, "Play doh and rainbows!" 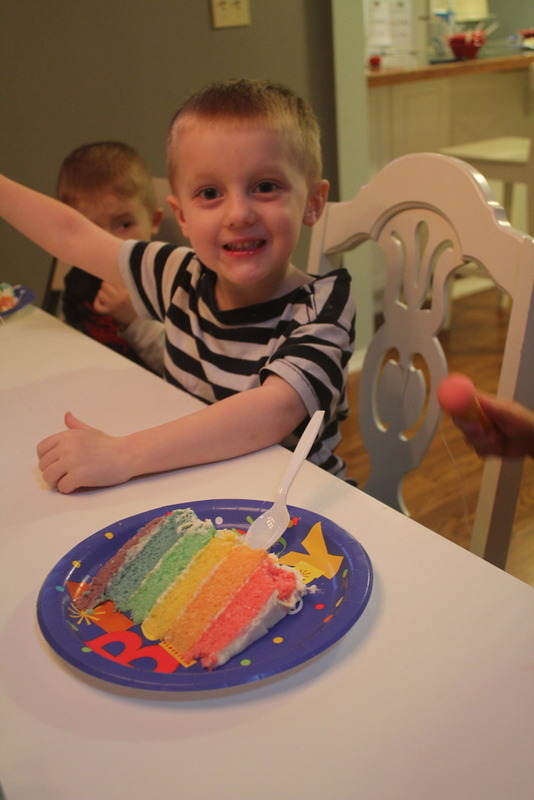 It ended up being such a fun party to plan, and he loved it so that was the best part. 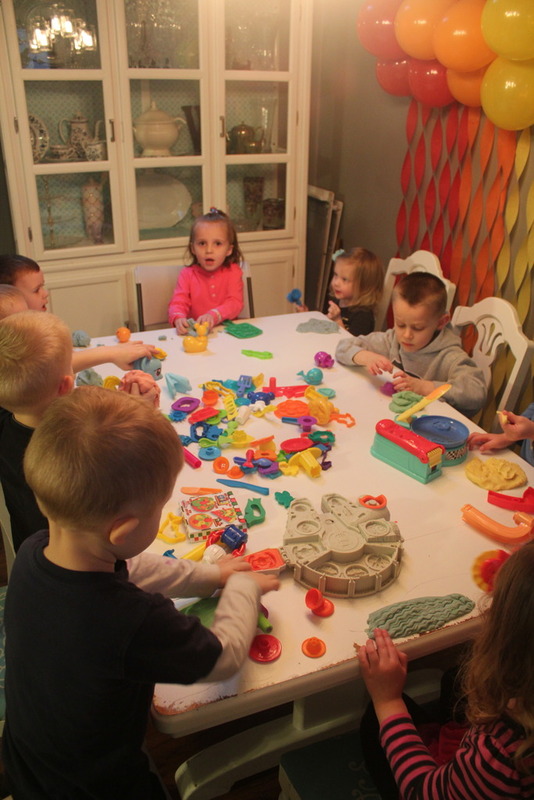 We started the party with some homemade play doh, each kids got the pick their own color and play with them while they were still warm! Next they got to color their own yogurt for a snack. but he wouldn't eat one bite! 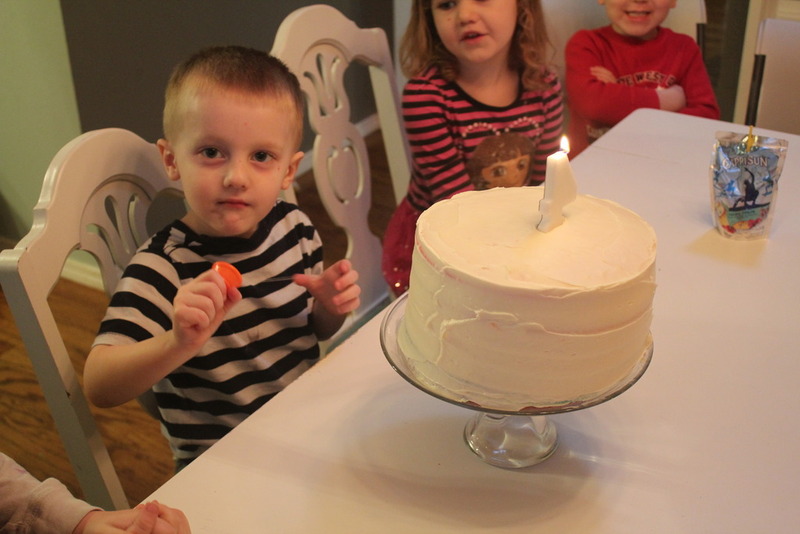 After dishing him up a slice, he promptly said, "I don't like cake." and went to play with his friends. Humm, well at least he liked the look of it right? Next year I think we'll skip the cake. 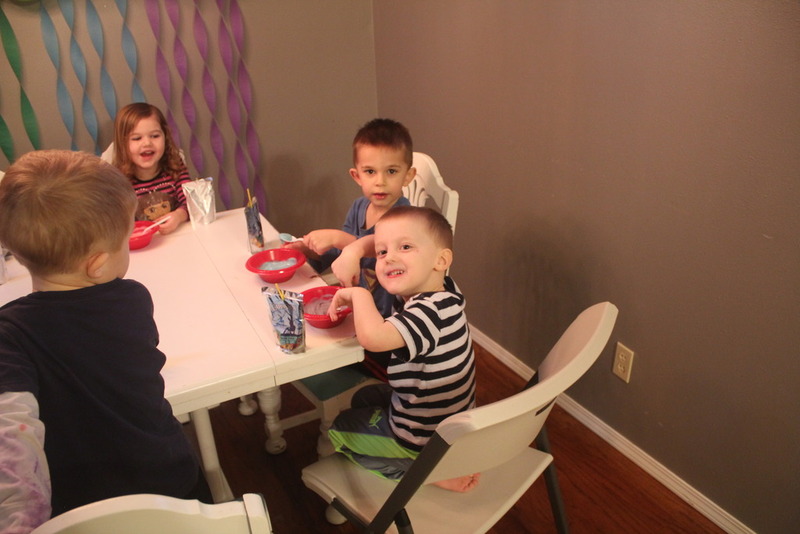 Emmett loved his friends, and he loved that he got to invite his friends over to his house. Happy 4th birthday Emmett! We sure love you!